Cow Common Farm, Bletchley, now the site of Leon School. 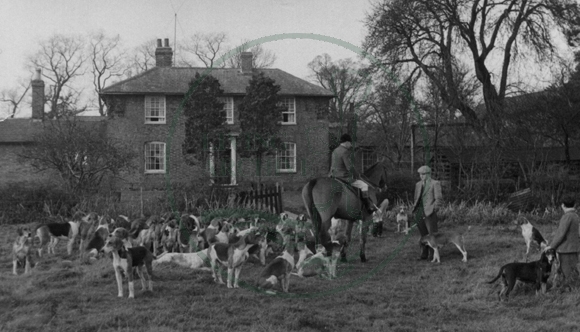 In the foreground is a member of the local hunt with dogs and a man and a boy. Date unknown.